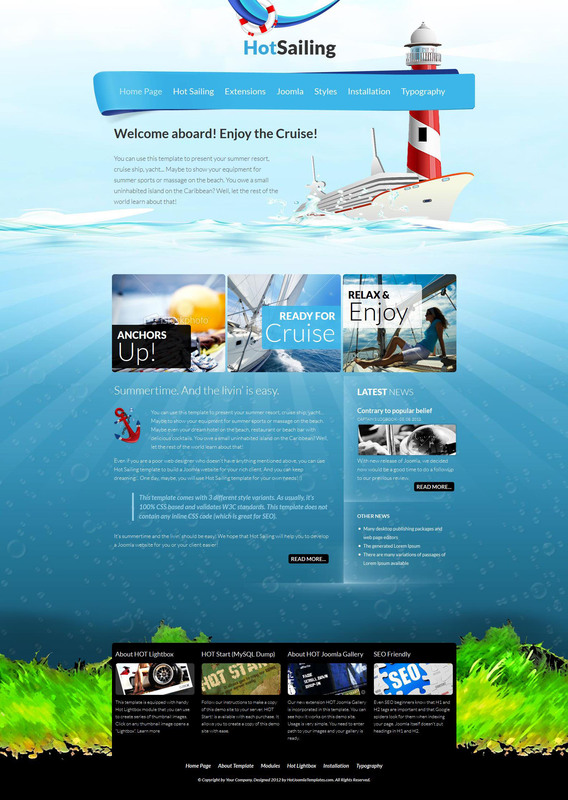 HOT Sailing - stylish new developers HotJoomla, dedicated summer holiday on the sea or tourist trips during the holidays. Layout design is presented in three color schemes, and the modular design consists of 24 positions easily customizable, allowing convenient to place all the information for visitors. In the assembly includes expansion club Hot Lightbox and Hot Joomla Gallery, which provide a flexible display of images on the site. Availability SEO optimized code template files qualitatively affect the future of the project promotion in search engines.